In this work, we analysed the Cheongyang geomagnetic baseline data from 2014 to 2016. We observed a step of more than 5 nT in the H and Z baseline in 2014 and 2015 due to artificial magnetic noise in the absolute hut. The baseline also shows a periodic modulation due to temperature variations in the fluxgate magnetometer hut. The quality of the baselines was improved by correcting the discontinuity in the H and Z baselines. The TARANIS spacecraft will be launched at the end of 2018. It is one of the first dedicated to the study of terrestrial gamma-ray flashes (TGF) and associated electrons (TEB), produced by thunderstorms. We present two of the six instruments on board the TARANIS spacecraft: a gamma-ray and energetic electron detector (XGRE) and an electron detector (IDEE). We compare them to other instruments that have already detected TGF and TEB, and use them to estimate the detection rate of TARANIS. In geomagnetism, geodesy and in general disciplines requiring orientation on Earth, accurately finding the direction of true north is a challenge. This paper describes a method to do so using a traditional theodolite and the proposed apparatus: an electro-optical add-on. The details of the concepts, design and operation of the add-on are explained. The main contribution of our paper is the proposal of a dynamic data transmission technology of an expendable current profiler, using varnished wires as the data transmission medium. The results of both indoor and marine tests demonstrate high efficiency and accuracy for transmission distances up to 2 km. We believe that this study will be of interest to the readership because our research is of particular interest and use for scientific marine investigation. Commercial solutions for an automated DI-flux are practically reduced to the AutoDIF and the GyroDIF. We analyze the pros and cons of both in terms of suitability at the Livingston Island geomagnetic observatory, Antarctica. We conclude that the GyroDIF is more suitable for harsh conditions due to its simpler infrastructure. We also show the instrument housing design and its control electronics. Our experiences can benefit the geomagnetic community, which often faces similar challenges. The authors developed and built a digital non-magnetic declination–inclination magnetometer which gives all measurement data in digital form. Use of this instrument significantly decreases the possibility of observation errors and minimises handwork. We showed that this device is suitable for absolute magnetic control measurements, and it is more convenient, user friendly and effective than the traditional ones. In 2013 the scientists from the geophysical centre in Dourbes started a project to install a fully automated observatory in Antarctica. The ultimate aim is to have real-time data coming in to Dourbes every second. After evaluation of different data transfer protocols, we chose to use Message Queuing Telemetry Transport (MQTT) and receive the 1 s data with a negligible latency cost and no loss of data. This article focus on morphometric features and their role in water resource management at the basin scale. The estimation of the features requires an adequate understanding of DEM feature extractions. The findings of the current study will help decision makers to improve the adopted water resource management strategies in similar geographic locations. 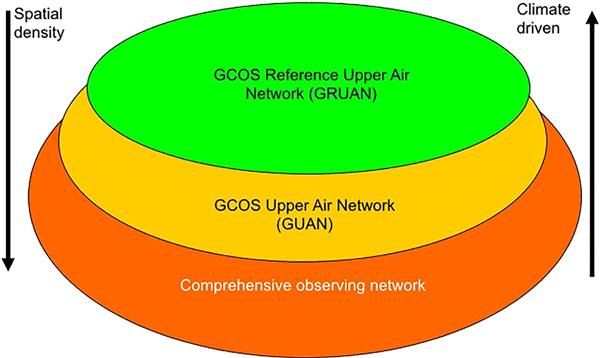 The paper discusses the possibility of improving the quality of geomagnetic variation monitoring at ground observatories. The new fluxgate sensor and electronics with upgraded temperature and noise characteristics are described. It is supposed that the application of the results and recommendations discussed in the paper will allow a fluxgate magnetometer to be created with an outstanding level of parameters. Data loggers of magnetic observatories use GPS receivers to provide accurate time stamping of recorded data. Typical sampling rate is 1 s. A failure of the GPS receiver can result in erroneous time stamps. The observatory of Lanzhou, China, accumulated a lag of 28 s over 1 year. Using magnetic data recorded at other locations in a radius of 3000 km it was possible to estimate the diurnal lag and correct the time tamps to produce reliable 1 min averages of magnetic data. In geophysics exploration, measuring earth's magnetic field using magnetometers is a necessity to resolve earth's subsurface structure. In this paper we offer an open-schematic fluxgate magnetometer (Magnetogama) that will help people build their own magnetometer. We focus on how to assemble and record earth's magnetic response. Several sensitivity tests were performed to make sure that Magnetogama has the capability to be used in exploration. Noise is a common problem for the experiments or observations. Noise in the raw data of magnetic observatories has features. The article makes an attempt to give a review of this noise, using the data from some Russian and Indian observatories. A modern geomagnetic observatory is expected to record geomagnetic data with high stability, high resolution, and high reliability. Also, geomagnetic observatories may be located in remote areas, requiring low power consumption and simple maintenance. Here, we present a new data logger system that was designed to meet these criteria. This system is based on a Raspberry Pi embedded PC and includes a modular C++ software package which can be adapted to specific observatory setups. In this paper, we give some background on calibration and verification of our automatic DI-flux instrument and then compare the automatic absolute magnetic measurements with the human-made and discuss the advantages and disadvantages of automatic measurements. We present a novel method for calibrating magnetic observatories. We show how magnetometer baselines can highlight a possible calibration error. We also provide a method based on high-frequency automatic absolute measurements. This method determines a transformation matrix for correcting raw data suffering from scale factor and orientation errors. We finally present a practical case where covered data have been successfully compared to those coming from a reference magnetometer. We report on the history and recent developments of the Tatuoca magnetic observatory in Brazil. This observatory is located close to the geomagnetic equator and within a region of strong main field dynamics. Starting from 2015, we have installed new instrumentation and a new datalogger system. In the paper, we also comment on the challenges of doing absolute measurements at the geomagnetic equator. Fluxgate magnetometers are an important geophysical tool but are typically sensitive to changes in sensor temperature. We used a novel, low-cost calibration procedure to compare six matched sensors in which the material used as the mechanical support is varied and found that 30 % glass-filled PEEK engineering plastic is a good candidate for sensors. It is more economical, easier to machine, lighter, and more robust than historically used machinable ceramic. We have compared two methods of performing Absolute observations of the Earth's magnetic field. The newer, Residual method was evaluated for use at USGS geomagnetic observatories and compared with measurements using the traditional Null method. A mathematical outline of the Residual method is presented, including more precise conversions of the Declination angles to nanoTeslas (nT). Results show that the Residual method is better than the Null method, especially at high latitude. This work describes a new approach to use fast X-ray fluorescence mapping as a tool for automated mineralogy applied on thin sections of plutonic rocks. 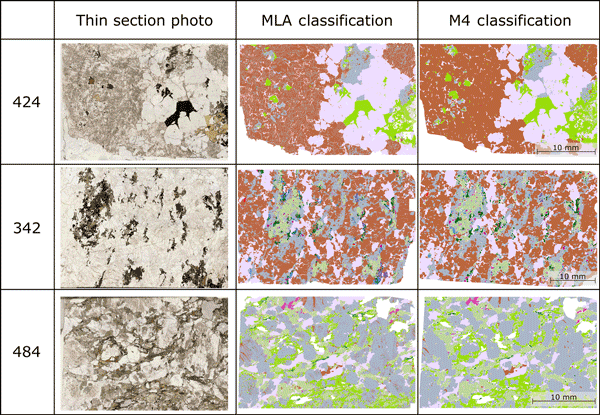 Using a supervised classification of the spectral information, mineral maps are obtained for modal mineralogy and image analysis. The results are compared to a conventional method for automated mineralogy, which is scanning electron microscopy with mineral liberation analyzer, showing a good overall accuracy of 76 %. Absolute magnetic measurements require the vertical and the geographic north as reference directions. We present here a novel system able to measure the direction of the magnetic field and of the vertical and true north. A design of a north seeker is proposed that takes into account sensor bias as well as misalignment errors. Different methods are derived from this model and measurement results are presented. A measurement test at high latitude is also shown. Despite its importance to a range of applied and fundamental studies, and obvious parallels to a robust network of magnetic-field observatories, long-term geoelectric field monitoring is rarely performed. The installation of a new geoelectric monitoring system at the Boulder magnetic observatory of the US Geological Survey is summarized. Data from the system are expected, among other things, to be used for testing and validating algorithms for mapping North American geoelectric fields. Saint Petersburg Observatory was founded as a geomagnetic branch of the Voyeikovo magnetic and meteorological observatory in the late 1960s. In 2012 the station was upgraded to INTERMAGNET standard and in 2016 it was officially certified as SPG INTERMAGNET magnetic observatory. The SPG data can be downloaded via http://intermagnet.org or http://geomag.gcras.ru . This paper describes the way the SPG observatory made to become an international geomagnetic network member. In magnetic observatory data, according to the INTERMAGNET definitive 1 s data standard, the fluxgate magnetometer self noise usually covers the natural signal for frequencies higher than about 30 mHz. We present a numerical method how to merge the data with induction coil data in order to drastically reduce noise and to fill the entire possible bandwidth with information on the earth magnetic field. In spectrograms we visualize interesting phenomena revealed with the method. We believe that our study full-waveform voltage and current recording device for MTEM transmitters makes a significant contribution to the literature because this full-waveform recording device can be used to monitor the high-power, full-waveform voltages and currents of MTEM transmitters. It has high precision, finer edge details, low noise, and other advantages. Hence, it can be used for real-time recording and transmission to the receiver for coherent demodulation. This paper focuses on major issues related to data reliability and MOBNET network performance in the AlpArray seismic experiments. We present both new hardware and software tools that help to assure the high-quality standard of broadband seismic data. Special attention is paid to issues like a detection of sensor misorientation, timing problems, exchange of record components and/or their polarity reversal, sensor mass centring, or anomalous channel amplitudes due to imperfect gain. The paper demonstrates that isotopologue disequilibrium can be created in the SIMS ionization process, and that the specific conditions under which it is created during the oxygen bombardment of geological materials are consistent with known conditions where traditional interrelationships between ion abundances break down. Further study to determine the degree of radiation dosage at which extreme disequilibrium appears involved Raman and helium dating on a variety of well-characterized zircons. Successful clustering of a dataset which is consistent with geological facts and laboratory and field studies is one of the results of this study. Since only REEs were used in this division, a good agreement of the results with lithology is considerable. Results show that unsupervised pattern recognition helps find some hidden information which would be difficult to obtain in usual ways. In addition, methods presented in this study will enable better interpretation of data. This work presents the progressive steps which led to the successful setup of such measurements at the new magnetic observatory in Choutuppal (CPL) of CSIR-NGRI, Hyderabad, India. Iterative tuning of the setup led to the generation of good quality data from 2016 onward. The processes of commissioning this setup in low-latitude conditions, with the aim of producing 1 s definitive data, and the characteristics of the data from this new instrument are presented here.